» NAMA-Recovery's "WE SPEAK METHADONE (and buprenorphine) FORUM"
» my methadone clinic is kicking us off in 30 days! » New member from the UK, so happy to have found you!! » I'm getting off Methadone. I'm going to document my experience here. NAMA-Recovery's "WE SPEAK METHADONE (and buprenorphine) FORUM"
NAMA-Recovery's "WE SPEAK METHADONE (and buprenorphine) FORUM" is back up and running! :-) I hope you'll incorporate it into your forum activity along with a Flicker in the Dark! Please if you are a male and on methadone go to the doctor and have your testosterone levels checked. It's very important because low T is bad for men. It causes osteoporosis, colesteral buildup, depression, anxiety, belly fat and the list goes on!!! California CA SB 973 Has passed! 1. No more water in take home doses. 2. No more 7 days waiting period between admissions. 3. Retired and disabled are no longer excluded from take homes. Having experienced, first hand, an inhumane methadone detox...I feel that this would be an asset in the jails and prisons...would cut down on the crime inside including the drug trade, fighting, etc. Washington will be the largest march in the 21st century AIDS: "We can stop AIDS: mobilization for economic justice and human rights." Last year RuthAnn posted a story about a small town in Vermont and the possibility of a new mmt facility. AS with many other towns a clinic was badly needed in the area. 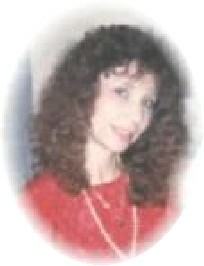 It saddens me to announce to all of you that yesterday May 21, 2012, Deborah D. Shrira the CEO and Founder of Medical Assisted Treatment of America/Suboxone Assisted Treatment and our forums passed away.